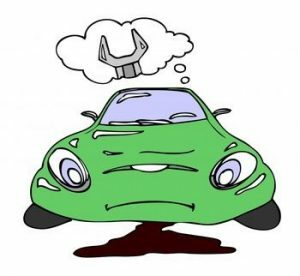 You might be thinking about buying an older car as a way to avoid having to deal with some of the things that come with new cars, like it or not – and want it or not – including can’t-fix-it-yourself technology and the run-amokness of peremptory/busybody/Big Brothery technology. For some, it’s getting to be Too Much – and not just in terms of cost. But – how old do you have to go to avoid that stuff? And how old is too old? The answer depends on how much modern stuff you’d like to avoid – and how much modern stuff (which isn’t all bad stuff) you’d like to have. If you want to avoid direct injected engines, over-complex (and expensive) transmissions, micro-sized/turbo-boosted engines, auto-stop/start and the naggiest/pushiest driver “assist” technologies such as Lane Keep Assist and Automated Emergency Braking, you’ll want to go back to about 2014 or earlier. Anything made before 2010 ought to be free of most if not all these things. But why would you want to be free of them? 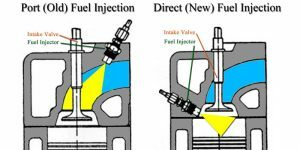 You may want to avoid DI – which is replacing port fuel injection – if you want to avoid problems with carbon build-up on the backsides of you engine’s intake valves. This is a hidden problem not many outside of the car business know about . . . for now. In the years ahead – as the problem grows – more will know about it. Direct injection shoots fuel directly into the engine’s cylinders; PFI sprays it above the cylinder, just behind the intake valves. Gas is a solvent as well as a fuel. The solvent action of the gas washing over the back of the valves helps prevent carbon (from combustion) from building up. But in a DI system, the engine runs dry – so to speak – and as a result, the engine is more prone to carbon building up over time. If it builds up enough, it has to be cleaned off – either by a solvent flush of by partial disassembly of the engine. 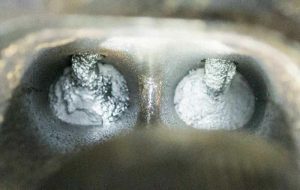 The problem is serious enough that many car companies have been quietly added a separate and dedicated PFI circuit just to wash down the backsides of the valves – which solves the carbon fouling problem but leaves you with a car that has two separate fueling systems – ad so, twice as many potential problems. It sounds crazy. So, why DI rather than PFI? Because there is a slight efficiency and power advantage. But it’s questionable whether the added cost, complexity and potential for problems are worth it. 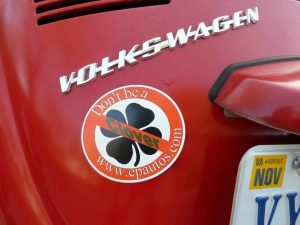 If you want to avoid it, ask whether the car has a direct-injected engine or look for “DI” or “GDI” badges. 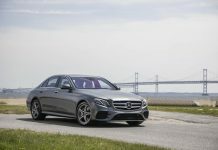 Many 2014-ish to present-day cars also have automatic transmissions with seven, eight, nine or even ten-speed automatic transmissions – with the top two (or three) gears being multiple overdrive gears, again for reasons of fractional fuel economy gains. These transmissions sometimes jump forward several gears at a time – particularly when the car is going downhill – which makes the car feel as though it is surging forward, which it is – even though you haven’t touched the accelerator pedal. It’s unsettling – and arguably, dangerous. These transmissions also sometimes seem to have trouble deciding which gear to be in – understandable, given how many gears there are. And even if the shift feel is fine, you should be aware that some of these seven, eight, nine and ten-speed transmissions are haltingly expensive to replace (they are often not rebuildable) in the event of a failure, post-warranty. Whereas a five or six-speed speed transmission might set you back $2,000 or so to replace, one of these newer many-speed boxes can cost twice or even three times as much. This can send an otherwise sound car to the crusher – simply because it’s too expensive to fix the one thing that’s wrong with it. 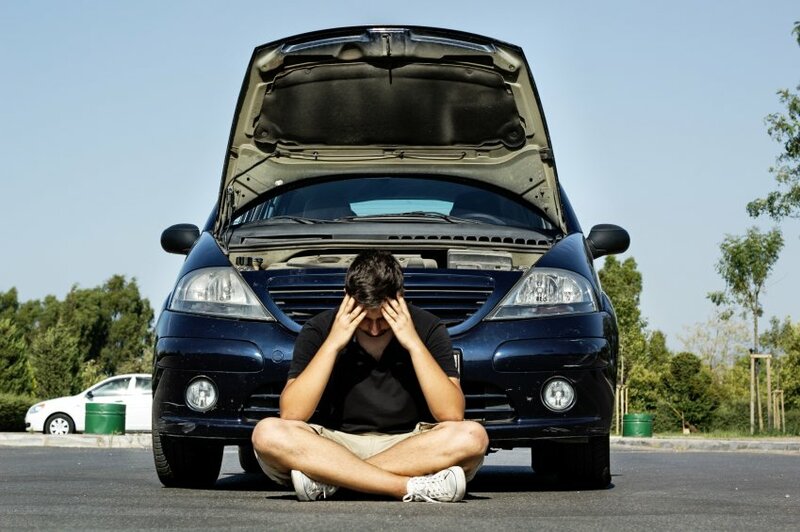 If the warranty doesn’t cover it, you may be out a car – not just a transmission. It used to be that small cars generally had small engines and larger cars had larger engines. But it is now common for large cars to have very small engines and smaller cars to have micro-engines. Most mid-size cars now come standard with four cylinder engines around 2.0 liters in size (vs. V6 engines around 3 liters) and many newer small cars have engines in the 1.5 liter range and some even less. V6 and V8 engines are almost gone. This is being done to (once again) increase fuel efficiency, because the government requires it. Whether that’s any of the government’s proper business is another question. But because customers still want the power of larger engines, these smaller engines are fitted with turbochargers, which temporarily (when you push down on the accelerator pedal) restore the power lost to downsizing. 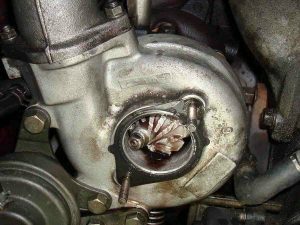 But pressurizing an engine stresses the engine – and turbochargers generate a lot of heat, another stressor – on both the engine and its peripheral systems, including the cooling system – as well as the turbo. Supposedly, these very small, very-boosted engines have been built to last as long (and as reliably) as non-turbocharged engines – but we won’t know for sure for many years and historically, turbocharged engines are shorter-lived and more trouble-prone than engines without turbos. Which is why – historically – their use was generally limited to specialty/high-performance cars rather than daily-driver cars. They were used as power-adders. Today, they are resorted to as displacement replacers. The bottom line is that a smaller, harder-working engine may use less fuel in theory (and on government tests) than a larger engine. But the larger engine has to work less hard to move the car – and so may use less gas in real word driving – and also last much longer. This annoyance has become de facto standard in most new cars and began appearing in cars generally within the past three or four years. It’s another encumbrance added to new cars to eke out a small on-paper fuel economy gain. The engine automatically turns itself off when the car isn’t moving – when you’re waiting for a red light to change, for instance – and then automatically restarts once the driver takes his foot off the brake or pushes on the gas pedal. But these constant stop/start cycles will almost certainly reduce the service life of the 12V starter battery (due to much more frequent discharge/discharge cycling) and the expense of more frequent battery replacement probably negates whatever minor fuel savings are achieved. There is also a slight delay between the moment you want to get going and the engine starting and being ready to go. And while the engine is off, so are engine-driven accessories like the air conditioning. These systems – like automatic engine stop/start – are becoming unavoidable. Most new cars come standard with one or both and within a couple of years it will probably be impossible to buy a new car without them. But why wouldn’t you want them? Because they’re a distraction and – arguably – a real safety hazard. LaneKeep Assist pesters you with lights and buzzers if the car’s cameras detect the tires crossing over any painted lines on the road. The presumption is you’re wandering out of your lane – and so need na “assist” to remind you to correct course. 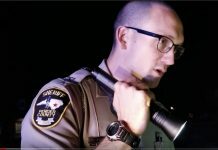 But the cameras (and computers) cant tell whether the lines are simply misaligned (rather than your car) nor whether you meant to cross over the painted lines – as when turning or changing lanes. Buzzers and lights, regardless. Some of the newer systems will actually try to steer you back in the “right” direction – which is as unsettling as feeling a hand on your shoulder when there’s no one else in the car with you. Automated emergency braking is similarly peremptory – and enervating. The car will decide to brake for you – accompanied by usually frantic flashing lights and buzzers – even when there’s no good reason to brake. For example, a car ahead that’s stopped but signaling a turn and which you know won’t be there by the time you get there. But the automated emergency braking system can’t make such distinctions – and forcibly intervenes. All of a sudden you’re pitched forward in the seat, to the accompaniment of buzzers and lights. 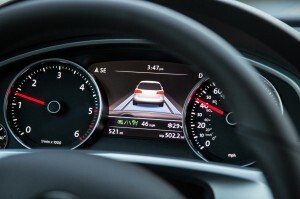 The system also makes passing cars in traffic difficult because in addition to the peremptory/hypercautious braking, some of these systems will also cut the the throttle at the same time, for the same computer-knows-best reasons. Older cars let you decide when it’s time to hit the brakes – and don’t countermand you when you ht the gas.No gears for the drivers to change, either. Previous articleReader Question: Camry Trade-up? Next articleVideo Rant: 45 to 35 . . . For Saaaaaaafety! One can change out their Firestein tires…..so their car will stop on a dime, as opposed to stopping on a penny. Oh…wait….I thought the title of this article was Avoiding Problems With Your Jewish Car….. Already looking at Fox Bodies, e30/36’s, and any other pre ’00s tuner to DD and play with. 2012 jeep patriot. Front and rear wheel sensor went out within one month. Had to replace bearing in the rear to replace the sensor. Axel rusting threads stripped threads and had to replace rear axel also. Bottom line, 42000 miles cost me $1200.00. Dealership gave me a $100 break on the bill. Bought the jeep new and this is admittedly the first problem we have had with it in seven years. I will buy another. If one of those vehicles with lane-assist were to come near my neighborhood, it would get driven into a ditch. All because the people who painted the lines on relatively straight roads had a sense of humor. They created curves in the lines to keep the drivers alert! On another note, I recently had to replace my vehicle, and had to go back to 2008 model year to find one that didn’t have all those technological evils. The one concession I had to make is I got a vehicle that requires premium fuel. But it rang the rest of my bells correctly, so I’m satisfied. We’ll see if I love it just as much in December. I wish I understood the passivity, on the one hand, of so many people toward being force-fed all this stuff and -on the other hand – the eagerness for it expressed by others. But then, I am Weird. I’ve just bought a 2001 Land Rover Discovery II with 149K on the clock (well, it’s just hit 150K after 2 weeks of ownership). I bought it mostly as an off-road “toy” but also as backup for when my 2006 Land Rover LR3 finally gets too expensive to fix. At which point I’ll pick up another Disco, a Defender, or possibly an older Jeep. I am not parting with my ’02 Nissan until it is no longer possible to keep the panels together with duct tape and RTV! …I just put $7,000 into fixing up a 2000 Jeep Grand Cherokee Limited…with plans to invest a little more in the next year to bring it all the way up to dependable. It is clean… and perfect for my needs in the mountains. Big engine, trailer hitch, rebuilt 4 wheel drive…and I only use it within a 20 mile range…so the gas mileage isn’t killing me yet! Ha! But it will serve my needs if bugging out becomes necessary. I have no need for all the new tech on the new cars, though they are mostly very nice, some not so overpriced and such…(Kia, etc.). But who needs the high car payment, the high insurance…and who wants to give the corrupt government the ability to track or tap into my car? No thanks. That is my plan as well. My ’02 Nissan is relatively simple and when it gets tired, rejuvenating it will be well worth it – as opposed to whatever over-the-top atrocities are offered up say ten years now (I can only imagine). The worrisome thing is that, perhaps, they will outlaw the older stuff on the basis of. . . . saaaaaaaaaaaaaaaaaaafety. That’s my biggest fear: “saaaaaaaaaaaaaaaaaaaaaaafety”. It’ll be the death of us. I am an avid amateur historian and I note – as a cautionary thing – that saaaaaaaaaaaaafety was also in currency during the heyday of Nazi Germany as well as Soviet Russia…. It is more than slightly alarming to me that we now have a “Homeland” and – even more so – a Department of Homeland Security. Many people do not know that the Nazis had literally the exact same thing. And it was headed by perhaps the most despicable, inhumane and effective Nazi of them all, Reinhard Heydrich. He was so good at his job that the Brits sent in SOE commandoes to knock him off. Now it is circulating that Trump is a traitor for not being agreement with the intelligence agencies. Just like in soviet russia, nazi germany, and many other places and times it is these entities that must be obeyed or else. I am no fan of Trump’s, but the media has gone literally batshit – and the establishment, too. The hysteria over this “Russian meddling” thing is bizarre. Were the voting machines hacked? Is anyone (credibly) claiming the election was stolen? What is the beef, exactly? Some Russians bought Facebook ads? So what? Every presidential campaign is marinated in “bought and paid for” advertising by myriad interested parties. How is Trump Putin’s poodle? Because he voices skepticism about maintaining – and paying for – NATO? An organization whose reason for being died with the Soviet Union almost 30 years ago? It seems there likely has never been an election of any import not manipulated by various entities. The CEO of Diebold said he and his employees would do everything possible to bring Bush into the WH. There was known voter fraud in some states with physical ballot trails. Was it all Republican tampering? I doubt it. Although federal marshalls did door to door intimidation of blacks. In the county next to me there was computer tampering that required refiguring the vote after it was discovered 3 of 4 votes for Democrats had been counted as Republican. There’s a lot to be gained and lost in big money elections and the USG has been rigging them for quite a long while all over the world. Just another reason, if you don’t already have plenty, not to vote. The amount of Facebook ads bought by the Russians was a tiny tiny fraction of the spending by the Democrats and Republicans. That is a red herring if there ever was one. 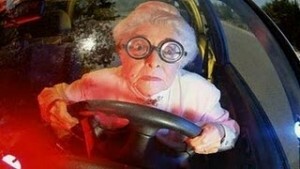 RJ, some of my friends my age have already experienced higher insurance rates…….with perfect driving records. Well, the banksters get us front and rear, top to bottom, coming(not so much) and going. I wonder what the next major fleecing of the public will be, already counting Trump’s “tax cut”. I have become nearly invisible. …a good thing I suppose. My E-150 is a 2003. Ford adopted black boxes in 2005. Who needs newer? Your description of Lane Keep Assist/Automated Emergency Braking reminds me of driving with my wife. My ex-wife was like that, too! The more I read the more I want to just keep my 1996 Toyota Camry LE V6 wagon. It has 158k on it and being garaged kept for its entire life still looks only a few years old. Every year I think, ehh, time for something new, or newer, but stop. I sent my son off to his new job in Texas in my old Lincoln LS 2001 V6 with about 128k on it, the same condition as the Camry, albeit far more troublesome historically. I think I want that back when he buys his own too. Let’s see, if I rotate drivers and live to 90………..
I’d say the Golden Age for automobiles was circa 2000-2010. Engines sophisticated enough to meet then current regs, and produce decent to very good power, reliability and mpg too! 5 speed automatics, and six speed manual transmissions were definitely adequate. Unlike Eric, a lot of us do appreciate a reasonable amount of safety equipment, like air bags all around, ABS brakes, and sturdy body structures, even if they add some weight. 2000 to 2010 cars usually provide an excellent cost/benefit ratio in this regard. During that period, Japanese cars were clearly superior in terms of quality and durability. So look for nice Toyotas, Hondas, Nissans, Lexuses or Acuras. Avoid American, unless you’re a diehard brand loyalist. And avoid Korean products (of that era) like the plague! Eric, dont know if theres a way to identify these, but another killer is this all in one motherboard thing on the new cars. Basically everything on the car, all electrical controls are put in one box, on one motherboard, on one chip. So when one thing goes it all has to be changed. Think its the fastest way to scrap a car. An almost horror story I heard last week from a friend was his brothers Porsche Macan. Car was mere months from being out of warranty when it developed an issue in the turn signal / wiper / light stalks. Didnt think much, and issue was intermittent but annoying, but as it was under warranty he just took it in. Turns out there was an issue on the motherboard, and whole thing had to be replaced. parts and labour – 8K GBP….. were it out of warranty I doubt the car would have survived…. Just drove an interesting newish car this weekend – cousin came over with a Smart for Four. As it was so tiny, we wanted to see the engine. After figuring out how to open the front – there was no engine there!! So we looked for it in the back – turns out its under the cargo area in the boot… but interestingly I dont think theres a way to open it – looked online and fiddled with it for a while, but there were 6 of those special screws on the cover, I didnt want to risk un – doing them on his rental. But it seems to me its a way to keep the owner out of it completely! And Looking at the car, I dont think anyone who buys it would even care to know where /what an engine is…. Interestingly, its a highly turbocharged 800 cc 3 cylinder engine. And as you would suspect, under real world driving it was surprisingly thirsty, equal to a much bigger car…… Performance on the other hand wasnt exactly spectacular…. making the tiny engine absolutely pointless except for satisfying the red tape from our Dear Leaders…. On another note, I had my truck in the shop for some Rust Warranty work (whole nother can of worms on the new trucks) and was given a 2018 loaner truck. Only 800 miles on it but the damn thing stalled and died while I was driving my wife and infant son in our neighborhood. Wasn’t a start stop event that I know of and crusiing at 35 mph surely wouldn’t activate that mode. Real piece of junk…. Another old trucker and I were talking about fuel mileage and engine power and he told of a new fleet where he worked and how the manager mandated turning the engines down for fuel mileage. He told the whole bunch those engines would get worse mileage and it was easily proven. They left one alone and gave it to him. In a matter of a couple weeks it became obvious he was correct. A friend and I both drove 379 Peterbilt tractors with nearly identical trailers. His was a well-tuned 3406 Cat with a 13 speed and mine a 60 series Detroit with a 10 speed. The 60 rarely wasn’t WOT since we were always hauling the legal limit and the friend with the much more powerful Cat left me in his wake not needing to use all his power. We’d fuel up at the end of the day. Same story every day, 6mpg for him and 5mpg for mine. We were running about 600 miles per day so it adds up quickly. BTW his brother had a 600 HP 60 series with a 13 speed and it got nearly 6mpg also. So much for less power translating to better mileage. I couldn’t tell you how many times I’ve heard non truck driving owners cuss big power and OD transmissions. Another engine item I’ve avoided: AFM – Active Fuel Management, aka, cylinder deactivation. My understanding is that the engine can develop uneven, between cylinders, wear. One of the oil companies is now advertising their oil as being specifically formulated to reduce carbon build up in cars made post 2012. 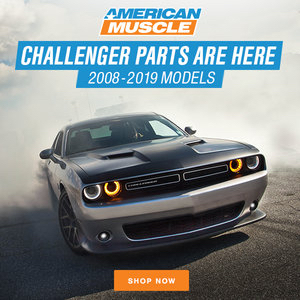 Unfortunately, the problems that DI, turbos, 8-10 speed trans and too small engines brings to cars will be the problems of those vehicles second or third owners. When those cars are 10-15 years old. At least when cars were crappy back in the late 70’s and 80’s they sucked right away, and annoyed the first owners. Today’s cars are less likely to annoy the first owners, so they will be less likely to avoid buying bad things, making it worse for those who own the cars later. People have gotten used to cars being pretty good between 10-15 years old. In fact many people have come to depend on cars lasting much longer, taking some of the punch out of high prices of cars now. That may not be the case much longer. It’s already the case with electric cars to be honest, at least there aren’t many of those, yet. Seems like it’s already harder to use used parts on recent vehicles. It seems that the same parts fail pretty much across the board, so when you go to find used parts, they are either gone already or they are broken already. Had a Chrysler van that would burn up a circuit board in the emission system. It wouldn’t have been a problem if it wasn’t for the smog test, didn’t effect the van performance. Couldn’t get used ones because it happened to almost every one, and Chrysler did nothing to address the problem. Its was a double annoyance because I otherwise wouldn’t have bothered to try to even fix it. Gave the van away to my cousin, who lives in an area without smog tests. Soon enough, those “second or third owner problems” will become well known. And the resale value of those cars will tank. So soon enough, the original buyers of those cars will be hurting too. And the higher up the price point you go, the more electronic gizmos and gadgets those cars have. So high price car resale values are going to crash fastest and hardest. Ironic isn’t it? Used to be that the higher the price, the better the car. Now, it’s exactly the opposite. “The bottom line is that a smaller, harder-working engine may use less fuel in theory (and on government tests) than a larger engine. But the larger engine has to work less hard to move the car – and so may use less gas in real word driving – and also last much longer”. This is also the case in real life. A smaller engine should use less fuel than a bigger one also under practical conditions. Thermodynamics say that an engine working under a high load has a better efficiency than an engine working under a lower load. Trust me. I am an engineer, although not a specialist in thermodynamics. Of course, when you’re idling at a stop light and getting 0.0 mpgs, smaller is more fuel efficient. 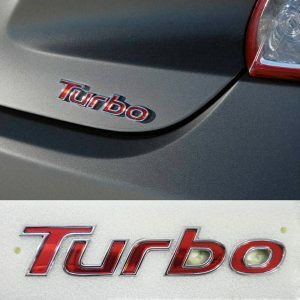 The smaller engine needs a turbo to meet the higher power levels. Running a turbo isn’t free – you have to compress air at a very high rate, this is work (in the physics sense) done. Furthermore, compressing air creates heat, that’s also coming from your gasoline. A small turbo charged engine producing some amount of power under high boost will necessarily use more fuel than a bigger engine without a turbo producing the same power. The hope is that by driving off-boost often enough, the net gains offset the net losses of powering a turbo. A friend of mine said he has given up waiting for his turbo to eventually average better mileage than his wife’s car with the same engine….after 10 years. His PT Cruiser is a Dream Turbo, and his wife’s is a PT Touring model. I rented a PT Cruiser years ago. It was fun to drive but only got 24 mpg under perfect driving conditions (all highway driving at 70 degrees F). “Furthermore, compressing air creates heat, that’s also coming from your gasoline”. The power to run a turbo comes mainly from excess pressure in the exhaust gas. This energy would be wasted anyway in a naturally aspirated engine. If engines with turbo did not at least save some fuel under real conditions, then they would not be implemented. Ideally it is ‘excess pressure’ but realistically there are going to be some pumping losses due to the turbo. Both the restriction and turning it. But those losses should be less than what it is gained. For today’s engines it’s not about “real conditions” it’s about test conditions. Also thermal efficiency is different from fuel economy. Better thermal efficiency can lead to higher fuel economy but it also may not. A high compression big block V8 could be very thermally efficient but its fuel economy is still going to be lousy. There’s far more variables to fuel economy than just energy in vs energy out. The idea behind today’s turbo charging of small displacement engines is to get a good score on the federal fuel economy cycle and still have the power people expect. The engines get to be smaller and lighter and that’s where the big gains in fuel economy happen with the turbo off. There should be no use of the turbo or close to no use during the test. In the real world however it’s going to be on a lot to make the power people need/want. In that range it could very well return worse fuel economy than the bigger NA engine. Net gain may be zero. But if you drive like the federal cycle then there will be gains. It’s all about the additional variables. 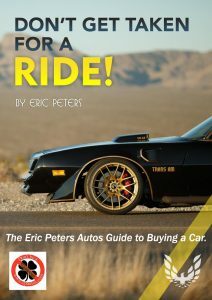 “In that range it could very well return worse fuel economy than the bigger NA engine. Net gain may be zero”. You and/or Eric would have to become very scientific to prove me wrong. You actually would have to test several cars with and without turbos, but with the same horsepower, top speed, weight and air resistance under exactly the same realistic conditions. It is a challenge to do such a precise test, but before somebody performs such a test and proves me wrong, I would in the mean time remain right. I am test driving a ’19 Subaru Ascent, which is a full-sized (7-8 passenger/three-row) crossover SUV, about the same size as a Chevy Tahoe SUV. But instead of a V8, the Subaru has a tiny (for the vehicle) four cylinder engine with a turbo to make up for its smallness. I am averaging 22.8 MPG. This is about the same – within a few MPG – of the V8 Tahoe’s mileage. But instead of an easygoing V8, a four that is working very hard to keep that big vehicle moving. For the customer, I mean? “This is about the same – within a few MPG”. This is not accurate and scientific enough to be proof, although I do not question your honesty. These two cars probably are not identical with regard to weight, power and top speed and you have not driven them side by side under exactly the same conditions. Yet, I would not be surprised if the supercharged Subaru has a somewhat better mileage, provided identical driving conditions. Few scientific and precise tests have actually been carried out to decide what is more fuel economic in real life. 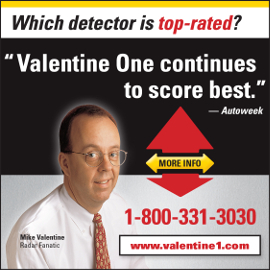 Yet “Consumer reports” have done some testing with realistic everyday use of the cars, and they conclude that some fairly identical cars with turbos have a somewhat better mileage than NA; for instance BMW X3 and Dodge Dart. My experience some years ago with an Audi 2.5 liter NA 6 cylinder engine, and another with a four cylinder 1.8 liter engine, both engines with comparable horsepower, indicated that with my use, the turbocharged engine consumed noticeably less fuel. This is about the same conclusion that “Consumer Report” has reached with regard to Audi and VW. I am making no claims about any possible upside for the costumer, longevity and repair costs. I base my comments on 25 years of test driving new cars – and trucks! Certainly a Tahoe SUV (as in my example) is a different vehicle than a crossover SUV such as the Subaru Ascent crossover SUV I am driving this week. The former is a body-on-frame SUV, rear-drive based and powered by a big V8 while the latter is a car-based/unibody wagon, basically – with a FWD-based/AWD drivetrain and a turbocharged four cylinder engine. However, they are both also similar in size and passenger-capacity and used for many of the same things. The Chevy rates 16 city, 23 highway. The Ascent rates 20 city, 26 highway. It’s not much of a difference, mileage-wise – is it? 4 MPG in city driving and 3 on the highway. Let’s be generous and give the Subaru a 5 MPG advantage. Well, what is the advantage? I mean, it’s not economy – certainly not in a meaningful way. A 5 MPG difference may be a big deal in Europe, where you live – where gas costs $6 per gallon or more – but here (where gas costs $2.40 per gallon) it’s trivial in terms of expense. Meanwhile, the V8 is much stronger (355 hp vs. 260) and the heavier, stronger – and more capable SUV is also quicker. And the V8 is a simpler, inherently more durable, less maintenance-intensive engine. Which would you rather own 15 years from now? Not everyone buys a new car every six years. Some of us buy a car and keep it as long as possible, in order to amortize the huge expense that a new vehicle represents. I realize the Tahoe vs. Ascent comparison isn’t apples vs. apples, but I am doing it to make a point about the hype surrounding these “efficient” little engines, which aren’t really. 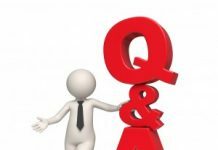 I think you – and CR – make my point for me! You write: “…some fairly identical cars with turbos have a somewhat better mileage than NA” (those without/larger engines. A modest gain – that doesn’t come without cost. I am working on a full-length article on the subject; should be up shortly! No problem, if you would go all scientific about these issues. I would even consider contributing a few kroner to your site, but it doesn’t seem so easy to do this from the other side of the Atlantic. I just gave you some hard data – the EPA’s data, in re the mileage these two vehicles achieved on the EPA’s test loop. This data confirms my own real-world experience. The mileage delivered by these under-sized engines is terrible given how much smaller (and how much less powerful) they are than engines twice the size, much more powerful – and not turbocharged. In re sending a few Kroner! Any Kroner you can send would be greatly appreciated! Why would you “remain right”? Fuel economy and thermal efficiency are not the same thing. They are different things. The idea of a turbo is to have on demand power while carrying around less weight. But when that power is needed the the fuel economy isn’t necessarily better. We are to the point now where the engines are being designed for the tests. So if someone does not drive like the tests and needs the power most of the time odds are the fuel economy improvement will be little to none. Especially as the weight saved in the engine is added back elsewhere. “Why would you “remain right”?”. I am actually remaining right until somebody proves me wrong, and that has not happened yet. Se also my reply to Eric above. You are free to believe whatever you want. But it proves nothing about whether your belief reflects reality and objective truth. But for fuel economy, distance per volume of fuel or volume of fuel per distance, the idea is to eliminate load. 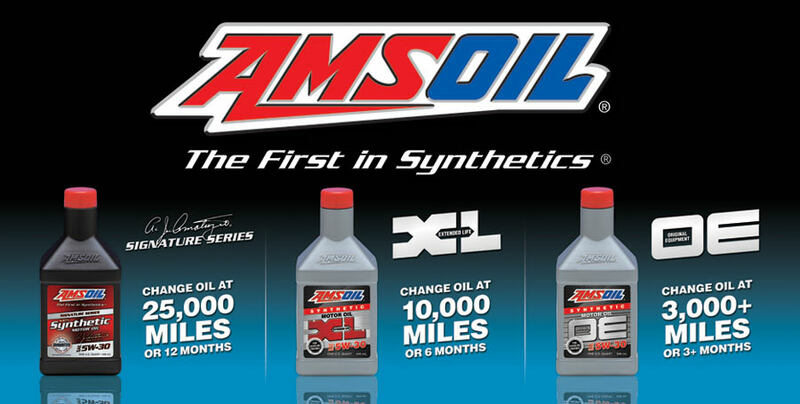 Reduce weight, lower rpm, etc. Thermal efficiency’s impact is limited. Don’t forget “traction control” which in many instances is also dangerous. Attempting to negotiate a slightly slippery grad can result in traction control cutting power when it is needed most. A little slippage of the wheels results in “traction control” taking over, making it impossible to traverse a hill–definitely a dangerous situation. 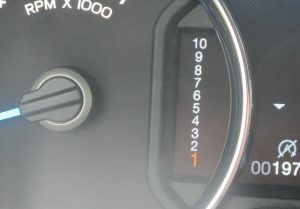 In some cars, it is not possible to disable traction control completely. True, anarchyst. If not actually dangerous, it at least effectively disables the car in snow or on ice. I wouldn’t want to have a car with traction control that couldn’t be disabled. Dom, who used to be the site tech guy here told about having to just leave his car at the bottom of his driveway when there was snow on the ground because the T/C wouldn’t allow him to drive up the little hill. 2013 Honda civic: 2.4L 4 cyl engine, 5 speed manual transmission, traction control that you can turn on/off, 450 highway miles on a tank of gas, no turbo, no DI, no Lane Keep Assist, no automatic Emergency Braking, no stop/start ignition. Bought from Honda dealer for $11,00 used with 55,000 km. One of the best cars I’ve ever owned. The DI problem is worse than you described. The constant cycling also wears out the starter motor. And, as I found out recently when my starter motor went out at 120K miles, if it dies slowly and quietly, it will first FUBAR the battery as that tries to compensate for a barely cranking starter. And then you’re on the roadside waiting for a tow truck, which can be pricy too. That was a biggish bill. Now I will leave the engine idling if I stop to pick up mail or other things where I’m out of the car but in close proximity, burning a bit more gas but saving on that Black Swan bill. 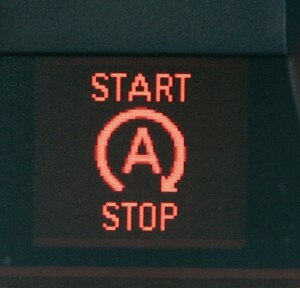 Whoops, meant auto stop start, not DI.